In Linux, shell is one of the most important parts. Every Linux user have used the shell more than once in the entire usage time. The terminal is the place where the shell is used. Generally, all the Linux systems come up with Bash shell pre-installed. It’s very simple, but lacks the power of advanced and modern features. For better result, it’s recommended to switch to Fish shell – a modern, innovative and productive shell. Autosuggestion – When you start typing, you’ll see suggestion of the command line. We’ll get to it after the installation part is complete. Glorious colors – Fish shell supports 24-bit true color for making the terminal even more appealing. 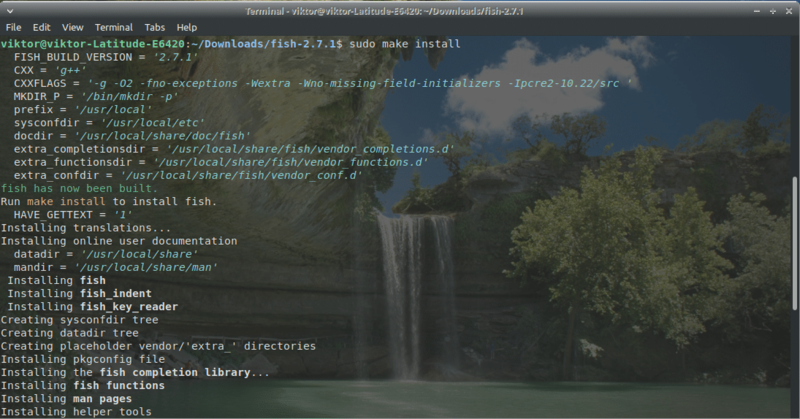 Works out of the box – You don’t have to configure Fish shell from the starting to enjoy it. Instead, all you need is just start enjoying the shell. 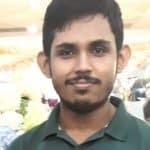 Scripting – Fish shell supports easier scripting. “man” page completions – Fish shell automatically parses the existing “man” pages and presents them in a nice, charismatic way. It’s time to install the shell in our system. Let’s fire up the terminal! Run the following command(s) according to your Linux distro. This method isn’t recommended as it requires compiling & installing from the source. Uninstalling the shell may be a difficulty in this case. For this method, download the latest version of Fish shell (compressed). Restart the terminal and behold the beautiful Fish shell! 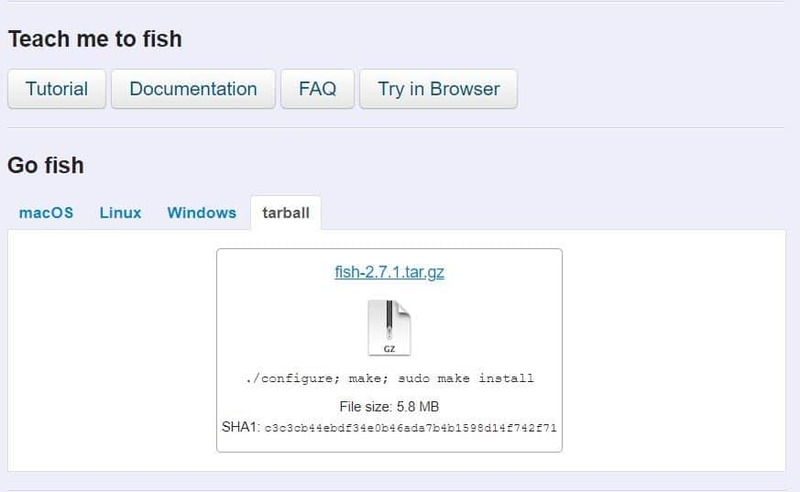 There’s no basic difference between Fish and Bash shell. Everything is just as same. The first main difference that will catch your eyes is the coloring. 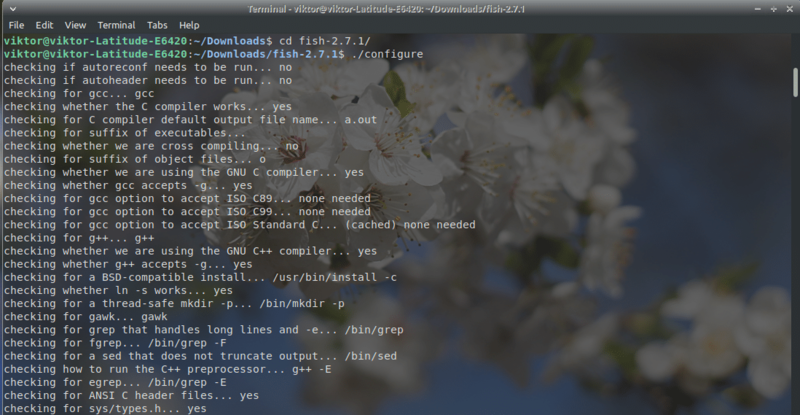 Fish shell is more colorful than the classic Bash shell. However, the coloring also depends a lot on the terminal settings for color. The highlighting is really useful. Another awesome feature is the availability of the command. For example, if I type “/bin/linuxhint”, it’ll show the line in a red color, indicating that it’s not a valid command. But if I type “/bin/bash”, it’ll look normal. Another interesting feature is the suggestion bar. It remembers your usage pattern and can suggest you the right command at the right moment. Just press the → key when the suggestion appears. These are all the basic features, but what about the others? 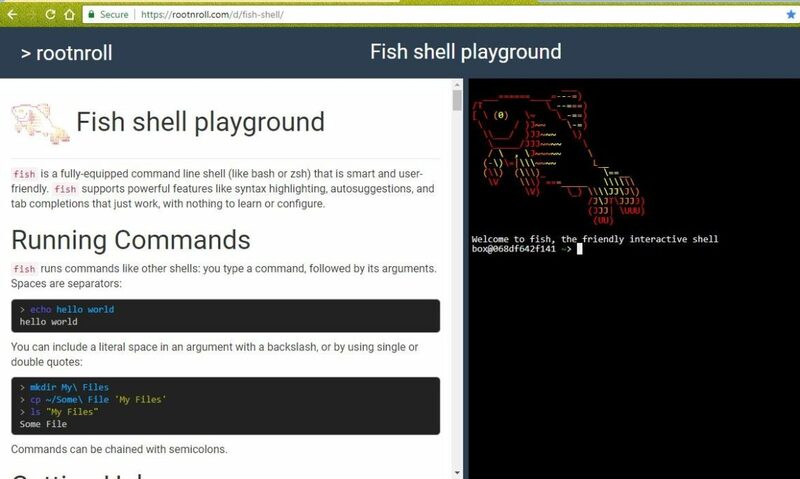 If you want to go in-depth on Fish shell, you should give this online Fish shell playground a try. It comes up with a huge number of tutorials and other tricks. Stay connected with linuxhint for more awesome tricks and tips!